The Ethernet Expansion adds an Ethernet port to your Omega with a maximum connection speed of 100Mbps. 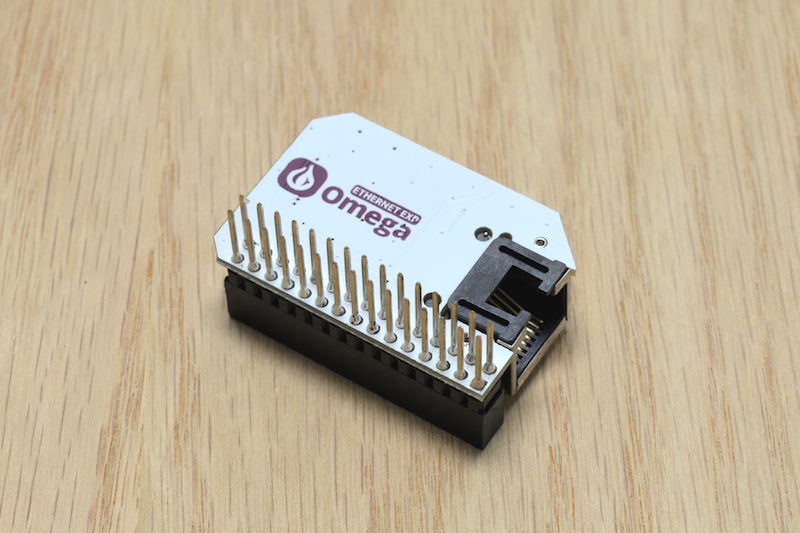 While the Omega is all about wireless connectivity, a reliable wired network connection can be a great addition to a project, and the Ethernet Expansion is a great tool for quickly reflashing your Omega’s firmware. 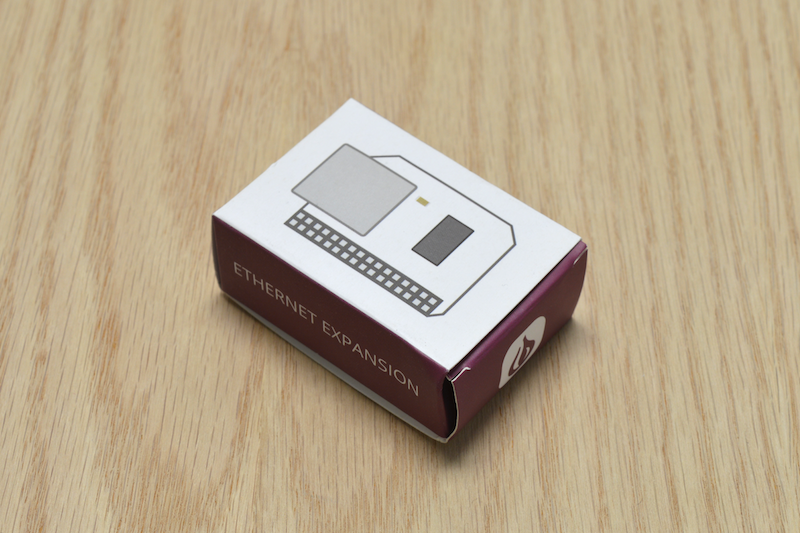 It makes use of the Omega’s exposed Ethernet pins, so only one Ethernet Expansion can be used with the Omega at any given time. 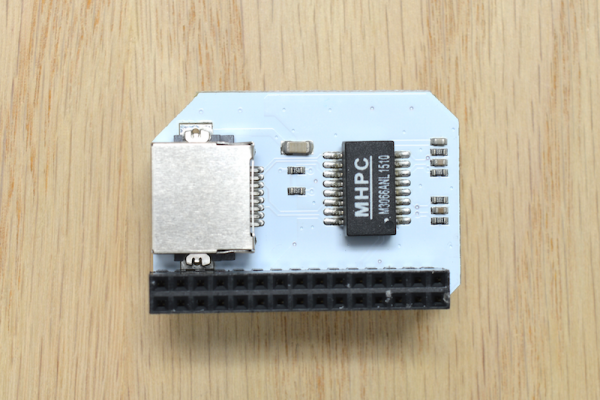 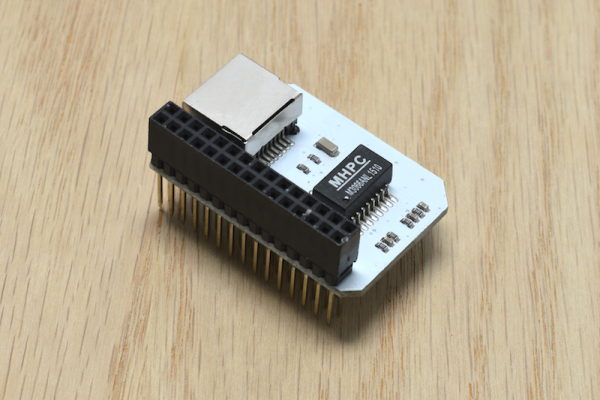 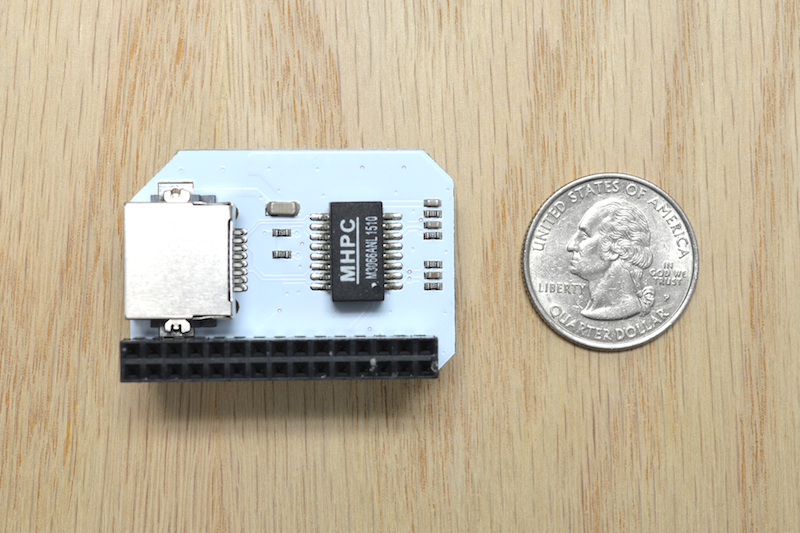 Note: This Expansion requires a Dock with an Expansion Header to use, such as the Expansion Dock, Power Dock, or Arduino Dock R2.